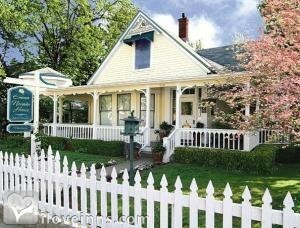 Nevada City bed and breakfast travel guide for romantic, historic and adventure b&b's. 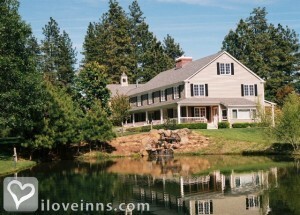 Browse through the iLoveInns.com database of Nevada City, California bed and breakfasts and country inns to find detailed listings that include room rates, special deals and area activities. You can click on the 'check rates and availability' button to contact the innkeeper. Nevada City, the Queen of the Northern Mines, one of the friendliest, liveliest and most colorful of all California Gold Rush towns! Nevada City's award-winning historic district is listed on the National Register of Historic Places. It is considered to be among the best-preserved towns of the West. Visitors enjoy fine restaurants and lodgings, live theatre and music, specialty shopping, antiques, art galleries and museums. Ringed by deep green hillsides and bordering the Tahoe National Forest, Nevada City is located just minutes from sparkling Sierra lakes and rivers and forested trail systems perfect for hiking and biking. In recent years, the Nevada City lifestyle has attracted artists, writers, musicians and retirees as well as small business people and high-tech entrepreneurs who are able to locate their enterprises away from the pressures of big city life. Among all the Gold Rush towns in California, Nevada City tops the list of the friendliest and most vibrant. Home to warm and lively people, Nevada City is the most colorful of all! An award winning historic district, puts Nevada City in the National Register of Historic Places. But apart from being a place of history and rich heritage, Nevada City also has adapted to the times. Today, visitors can enjoy mouthwatering dishes in fine restaurants in the city. The shopping and antiquing community in the city is alive, as well as the arts and theater departments. Nevada City bed and breakfasts offer world class accommodations, with the warmest innkeepers in the state. And because Nevada City is just a few minutes away from the crystal Sierra lakes and rivers and forested trails, anyone interested in hiking and biking will definitely have a blast in Nevada City. By The Madison House Bed & Breakfast.